Saul Marquez: And welcome back to the podcast. Today I have the outstanding Olivier Chateau. He’s the Co-Founder and CEO at Health Union where his vision and desire for innovation is a driving force behind the platform services and solutions they provide. 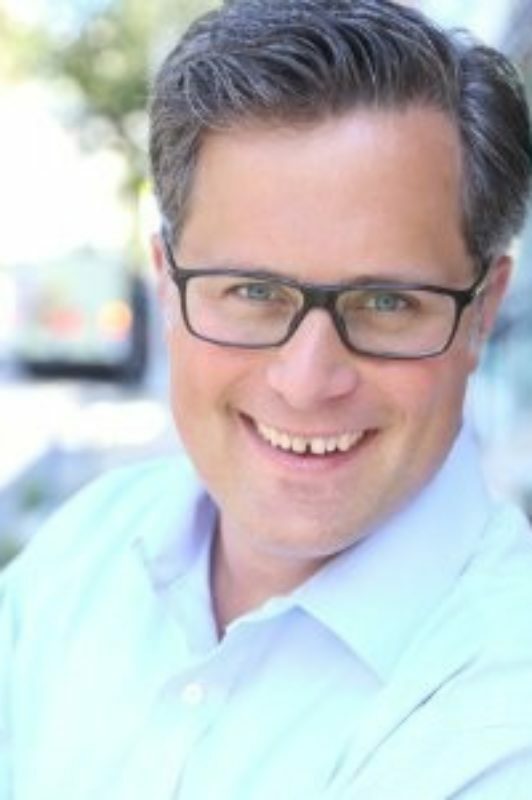 During his 10-year pharmaceutical tenure, Olivier gained experience in consumer marketing, insight creation, digital technology and analytics, which he’s leveraged along the extensive commercial knowledge that he also has on the healthcare market to develop unique opportunities that connect patients, professionals, and industry partners to improve health decisions. Olivier’s passion and enthusiasm for Health Union is contained just inspiring the team to think bigger, to be creative, to do what hasn’t been done. His favorite saying (written on the wall of the office) is “If you believe your dreams are achievable they are too small. Dream bigger.” Love that, really kind of made me take a second look at my goals and dreams and this gentleman is a leader in healthcare that will help you do the same things. Olivier, thanks for joining us today. Looking forward to our discussion. Olivier Chateau: Yeah absolutely. Thanks for inviting us. Saul Marquez: Absolutely, so I’d love if you could just fill in any of the gap to the intro. Did I leave anything out that you want to share? Olivier Chateau: No. I think what you said is a little difficult to listen about yourself. Definitely a very passionate person and I think we tried to run the company with the same passion all the way across what we do because ultimately we do something really humbling which is to help people and it’s extremely rewarding. I think beyond the business part of it, the financial part of it, a thing that is the most rewarding is the fact that we’re able to really help people then doubts and that’s pretty unique. Saul Marquez: It sure is especially in our field. I think we’re privileged for that and so what is it that got you into the medical sector to begin with? Olivier Chateau: So actually I got into the healthcare pharmaceutical industry, it’s kind of a family affair. My mom was in DOR, my dad worked in this industry for many many years. I wanted to always, interested to go in the medical field but never book smart enough to make it to be an M.D. Maybe why I married one actually, interesting and I basically started my career in a pharma company and for which I worked for well over 10 years and then I started to, I founded Health Union with my Co-Founder Tim Armand, almost nine years ago and those are my two work experiences. I don’t have many more beyond that but it’s kind of I’ve always been into this field. It’s interesting because it’s deeply personal as well as from a business standpoint incredibly stimulating for me, and actually I think that’s what I enjoyed the most and that their balance of work and people together. Olivier Chateau: So now I love that then and so definitely part of the family you got involved in and now you’ve been in it for a long time. I feel like the people that are in they say an inch wide and a mile deep. You really tend to see and feel that uniquenesses and are able to make an impact. What would you say for the listeners that don’t know about Health Union? What do you guys do? How do you do it and how do you do it for? Olivier Chateau: That’s actually pretty straightforward. What we do. I’d like to say in these groups seems and sounds very easy despite the fact that it’s very complicated to achieve let’s think you have accomplished something pretty good. But in a nutshell what we do is that we build online ecosystem that are dedicated to specific health condition where the name of the websites and the accompanying Facebook page and any other social outlet match the condition. So an example is migraine, the name of the property is migraine.com and all the other outlets around it are very specific to migraine. So we do this currently for 19 different health conditions. Very oftentimes there are chronic or highly impacting health condition where they are often characterized by flare or episode where their need for answers support solution and information and more importantly for patient validation that what they experience is going through the medical challenge that they have and actually is similar to what also is experiencing. So in a nutshell, what you said earlier was very interesting for us is that in the health ecosystem, we healthcare in general, oftentimes we look at healthcare as a whole and most of the health ecosystem online are health-focus on not condition-focus. And our idea was in order to serve patient that are primarily impacted by condition X Y or Z, we’re really going to try to create an ecosystem specifically dedicated to supporting these people where they will find (1)information, (2)support, and (3) validation, and how we actually drive this is by creating unique content on a daily basis as well as an incredible amount of support in the form of moderation and engagement such as polls or forums etc etc.. So we do this in a very systematic ways. This morning we published 19 new articles opposing 19 different communities that we have and it’s the content that ultimately is the starting maintaining and sustaining point of the relationship that we create with people impacted with these conditions. Saul Marquez: Man that is so interesting, Olivier. So you’re you’re working on and condition-based information and community development. Now, are you guys building these sites in an online forums for people or are they your, is it your property and you’re putting it out there to help people? Olivier Chateau: Yes. So actually we don’t create them on behalf of any companies or individuals. It seems a little crazy but we do build them in the hope that if we built these safe environment, people would come. It does take time. Obviously we go in a condition where we feel like we can bring and have an impact. So sometimes when there are tremendous medical progress or there are dramatic changes in the marketplace with new products but not necessarily interesting products but the fact that the medicine is evolving so much, we often feel like our model works in the ways that people identify themselves with what we do because we are helping them going through their journey and we often say we’re not necessarily here for you when you’re searching, are you, do you have that condition or not? But rather when you are in that condition and that condition is having a primary impact on your life and you’re looking for either information, support, or validation, then you will find that’s because the content that we provide and we create is going to be here to help you cope with your condition but also understand what others are going through. That’s primarily idea and what we do on a day in day out basis. I do think it’s important to mention that in addition to the hundred and twenty plus people that work here in Health Union. We have well over three hundred and fifty contributors that help us create and publish this incredible amount of new content that we do every year. So that doesn’t happen with just a few computers and three people it actually takes a very disciplined approach and to you know content management, content creation, making sure that that content is going to be relevant and resonate for those people that need it the most. Saul Marquez: I love that. So talk to me a little bit about an example of how your organization has created results by doing things differently. Olivier Chateau: So actually the best part of what we do is that we are in a trust and relationship with patients and the service that we sell need to meet those criteria of trust and transparency. The way we actually are able to generate revenue for Health Union are extremely transparent. Actually on our websites, we have created an incredible amount of frequently asked question I received from both our members and other other people’s that answer pretty much every question that we receive and the primary one that we usually get is how do we make money. So we have been able to we make money three ways. We sell advertising and sponsorship which is clearly visible when you visit any of our websites. We offer our community members to participate in market research and insight project that we do on behalf o of third party companies as well as the last set of services that we do as we work with clinical research organization. Any kind of body it could be by techs and pharmaceutical companies but quite frankly it could also be a hospital or health system or the government that might want a clinical program and we’ll work with them on trying to help them refine the clinical protocol as well as potentially recruit patients to enroll into a clinical study. So basically if you were to ask me to give you a precise example of what we’ve been able to drive value is that we have been able to demonstrate that our model attracts people that impacted by this condition and a much higher rate than any other large health ecosystem out there. And I wish I could tell you that we’ve been able to demonstrate this because we invented the best piece of technology out there but it’s actually not the case. The reason why we’ve been able to demonstrate this is because we do things very grass flip way. We just execute them with a lot of riggers and taking a patient first approach and that actually really works because over time you do build and sustain and maintain a very large relationship with people impacted by the different conditions. Saul Marquez: So interesting and I think you hit the nail on the head here is over time and folks if you’re listening to the program I mean you’re, you understand that you know these things in healthcare especially take time and the things that Olivier and his team have been able to achieve has been over time. So the key is to stay in the game. Stay in the game, keep playing, because eventually it’s going to work out. So with that said, Olivier I’d love to hear a story from you of a time when you had a setback and things weren’t working out. What did you learn from it? Olivier Chateau: Well we tried plenty of things that didn’t work. We actually I think this is the one of the most incredibly rewarding experience of living very large company organization where the process is often pretty heavy on a timeline for change is also pretty heavy, when you start from scratch and you have a constant stream of failure and success and failure and success. Give you two quick example of failures that we learn very quickly. We were convinced very early on that mobile application we’re gonna be a key component of our success. Well we actually got into migraine space. Migraine was our first platform. So it’s the oldest platform, it’s nine years old it is by far the largest my brain ecosystem on line today pretty much worldwide. We created in migraine app which we had quite frankly tens of thousand potentially hundreds thousands of downloads. And the reality is people did not want to interact with an app the same way they wanted to interact with our contents. And we learned that although a subset of people might be interested in lowering their migraine journal into our app which we had made very dynamic and so forth. It was not where they wanted to be. The reality is people use primarily those 10 same apps and they much rather consume our content when they are visiting their Facebook feed and you know our content My shop has one of those article and this is the time they want to participate and have an engagement with us rather than forcing them to go to join up. So I think it was a very big learning that we invested our time, energy, quite frankly, and it just simply didn’t work out. I think there is a perception especially in health that applications are going to change a lot of the behaviors and actually nine years later I’m convinced of quite the opposite. I think technology and health is an enabler of change but it’s not a driver of change. And I think that’s something that most people that enter the health space without background in healthcare, they very oftentimes misunderstand and underestimate. They think that technology is going to drive a change at a much faster pace which is I’m not denying that it will but it’s not what’s going to actually drive the change. Technology is going to enable that change to happen at a much faster pace but it’s not going to be the driver of change. Saul Marquez: I think that’s so interesting and really really fascinating story there. Nine years with the migraine space is a very long time. So kudos to you and your focus and being able to stay consistent with it, the content, the resources, and fascinating about the learning and with the apps you know. And your people come to you and they meet, you meet them where they are versus trying to drive them to a single space. So if applications or technology are not the driver, what is? Olivier Chateau: It’s actually meeting people where they are is actually our mission. Yeah actually this is what we strive for. Olivier Chateau: We said that because we get often asked, “Are you guys going away from Facebook or are you going to I think something else that is interesting about Health Union.” When we started the company, Facebook pages did not exist. Facebook advertising was not even something that was available to people. And the belief that people were going to share and be engaged about their health condition on social media was something that a lot of people were highly doubting that it was going to happen. So just to give you an idea how in nine year things have changed dramatically. But what’s interesting is we get asked all the time. “Are you guys going to go stick out from Facebook or just social platform?” And the reality is we are going to continue to go where people are. So if people and people still own Facebook and an incredible amount of people especially slightly elder population who are not necessarily the younger population might be going through other channels but you know interestingly enough depending on the condition that we support. So for example an inflammatory bowel disease the use of Instagram and other social channel is far greater than a Facebook and compared to other conditions. So when that is the case then we do have a social channel strategy for this specific condition. But the bottom line is we’re going to continue to offer people the opportunity to exchange with them and with us at the time that makes sense for them without forcing them to do anything. And I think that’s the big difference or so between what we do and what others are doing is we I’ve created what we call an open community model, where we don’t force people to give us their information. We don’t force them to tell us that they have a condition or not. They decide the level with which they want to engage with us. If they don’t want to tell us what they are and to simply consume our content that’s fine. If they want to participate without giving us the first and last name by taking a poll to see how they fit compared to other in that condition that’s fine too. And if they want to tell us all about themselves and complete their full profile and highly participate in our forums and so forth that’s also fine. But the bottom line is we’re here to support people anywhere they are in their funnel. We don’t want to be exclusive to only people that might want to tell us everything about themselves. Saul Marquez: Very cool. Yeah. It’s a very neat approach Olivier and one that has obviously created success for you and your team because you guys are there giving. We’ve mentioned this in previous episodes in the healthcare space, if you work more as a go giver than a go getter, things will tend to work in your way better. Olivier, tell us about one of your proudest moments that you’ve had there at the Union? Olivier Chateau: I’ll give you one. I’ll tell you I think the thing and I said that earlier and I really mean it. I think the proudest moment is that we are able to strive financially by doing what is right for people and that probably was characterized. We do every year a conference that regroups. Most of our contributors that are impacted by all these different condition that we support. It’s a conference called Health Union Connecxion, there is a website for it actually. So we have every year about a hundred plus patient, advocates, or people that are impacted by this condition that really helped others and fuel this ecosystem that we have created. And I’ve got to tell you when I have the opportunity to interact with them and hear them provide feedback about what the model that we have created I’ve done for them but more importantly I think it’s for all the other people that were able to support through that to those ecosystems, the feeling of accomplishment, that’s pretty tremendous. And there’s got nothing to do with money. You know it’s it really hasn’t. And actually, on that point I think it’s important to say that we support Health Union. Every condition exactly the same way, that they make money that they make absolutely zero dollars. They are supported exactly the same because this is not about money, it’s about people and it’s about doing the right thing for them. So that’s I would say the proudest moment is when we have these conferences annual conference and I get to stand in front of all these people and we have kind of a win. We call it a big hug moment. You know this is pretty special. Saul Marquez: I think that’s super cool. Folks if you’re curious about it, check it out. Health Union connecxion. It’s actually spelled with an X. So if you do huconnecxion.com you’ll see the last year of annual 2018 and previous year. Pretty cool, pretty inspiring work being done here by Olivier and his team. Olivier, what would you say an exciting project you’re working on today is? Olivier Chateau: Oh my God there’s so many. One of the biggest challenges that a company like ours have is that technology is evolving really fast. So then the how we enable that change how we drive it but how we enable it, is what’s going to change the most the next couple years and also the pace at which the company is growing means that we need to find ways that we can scale at a faster pace. So I’ll give you two things that I’m spending time on right now. One is how we can integrate the concept of voice technology into what we are doing. Not because I think that people are going to want to hear our daily content. They’re like so echo in the next six months but because I think in the next couple of years it’s going to become more and more practical for people to question their voice devices. And additionally we’re launching next year some really, quite frankly I’m extremely proud of them, conditions specific that form around macro large generation where obviously, it’s about loss and vision. So we have and we owe it to those people to provide them the tools that are necessary for them to receive the same kind of level of support. So voice technology is definitely one of them. The second thing that we’re looking at is how can we provide a much much deeper personalized experience for every people that comes to our platforms and what we mean by this is that they should take a poll and we realized that this might be more of interest, this topic might be more interested than this other topic. We need to become better in the same way that your Facebook feed Saul is different than mine. The migraine.com of mine migraine.com should be different than yours and that is something that we’re going to continue to work on so that people realize that’s our biggest asset which is our content which served that support as a way to feel validated and inform, keeps the living. Because otherwise the six plus thousand articles that we’re written on migraine.com are going to become obsolete when they should become the volcano of the relationship if you will like it really needs to come from the ground back outside so that we can deliver value from it. So those are the two big things. Saul Marquez: I think it’s great and super exciting. Any company looking to make an impact and Olivier I love that you’re so passionate about this. If you abandon your innovative spirit and you think you’ve got it figured out you’re in for not good things. And I love that you guys are continuing to approach things like voice and you know that personalization kind of like that. I like to call the Netflix station of services is so important. You know I turn on Netflix and there’s recommendations and a percentage of well I like it and that’s what keeps me there and that’s what’s going to continue to keep people on on Health Union. I didn’t mention this to you all but I mean you know out of all of the things that are on Health Union sites I mean there’s got to be something on there for you or or something in your family if you guys are struggling from one of these and they are a wealth of information. Migraines, type 2 diabetes, COPD, lung cancer, I mean the list goes on and they’re truly a great hub for information. So big thanks to the work that you and your team are doing there, Olivier. Getting close to the end of the interview here, this has been a bunch of fun by the way, have really enjoyed our time together. We’re gonna build a syllabus. I’ve got five questions for you. Lightning round style on what it takes to be impactful and in healthcare okay. And then I’ll ask you for your favorite book and we’ll conclude. Does that sound like fun? Saul Marquez: Awesome. All right. What’s the best way to improve health care outcomes? Olivier Chateau: That’s a great question I actually think you need to provide value that can be not only measured by the company that doing the work but primarily by people by which the product of the services is being given. Olivier Chateau: To think you understand or you know you need to have a philosophy that I call that we as people don’t know 95% of things. Saul Marquez: Love that. How do you stay relevant as an organization despite constant change? Olivier Chateau: By focusing on people first. Saul Marquez: What’s one area of focus that drives everything in your company? Olivier Chateau: I always believe we can do more. Saul Marquez: Love that. What book would you recommend Olivier to the listeners? Olivier Chateau: I don’t read much. I mean I read a lot but I don’t read a lot of books. It’s not because I don’t like it’s just I just don’t have a lot of time. I also will say that I don’t watch TV so none of them spending you in front of the press. Saul Marquez: Well audio books. Do you do audio books or noT? Olivier Chateau: No. I don’t really do audio books. I do I do read. It’s interesting in this idea of 95% the 5% that I do know I’m a little crazy about those five. Olivier Chateau: If I am going to research or dive into a problematic I’m going to really work on it so that I’m becoming almost expert level. So I mean half. A one book that I’ve read lately which was incredibly interesting and quite frankly right in line with a challenge that we have at Health Union is a book named Scale by Geoff West. Olivier Chateau: And quite frankly it’s about growth, challenges, innovation, and how you really cannot believe that you have achieved or kind of sit on your success because after all it’s America where success is hard to achieve. But it also will fall apart a lot faster than anybody can expect them unless you keep on going. So just really interesting in general and I have another mantra which is that bigger needs to mean better. I think a lot of company gets bigger because as you record you generate more revenue whereas you don’t smoke services or properties, you just generate more revenue. But I think that the idea that is really fundamental in getting bigger is that more people needs to bring more opportunities and just more people should not be just more bureaucracy. And so this idea that with more people you get to find ways to drive faster innovation, faster failure, faster recognition, and so forth. Olivier Chateau: This one’s killing was kind of a big deal because I think a lot of companies especially when they go from 50 to 100 and then from 100 to two to 300 which is pretty much the phase we’re in right now is how do we stay with the core values and the same culture as we were at 30, 50, and now 120. How are we going to be able to keep it up to two or three hundred. That’s what’s gonna make a successful is not going to be you know is our product going to drive the most innovation and so forth. What’s going to drive the success of tomorrow is can we drive that culture that is what it’s made us today forward for the next two to three years. Saul Marquez: Yeah. That’s really fascinating and I think of you know Peter Drucker’s saying “Culture eats strategy for breakfast any day.” I think you’re really capturing the essence of that Olivier. It’s exciting and I love your mantra. Bigger also needs to mean better. It has got to be thinking about that especially we’re seeing a lot of acquisitions, you know margin acquisitions in healthcare providers, buying each other up. If you’re getting bigger, are you getting better? And now I’ll leave you guys with that question inspired by Olivier here. If you’re getting bigger are you getting better? If the answer is no then you need to be revisiting what you’re up to. Olivier this has been fun man. If you can, just share a closing thought with the listeners and the best place where they could follow your work. Olivier Chateau: So first of all thank you so much. What a pleasure. You can check what we’re up to at health-union.com. In closing I think the most important is when you work in healthcare, it’s to work for something that you believe is meaningful. We don’t work in this industry to sell a few extra boxes of products but to actually help people live longer and healthier. And you really need to find a job that you feel fit that purpose and quite frankly that makes you go to work every day and make you believe that the things that your dreams actually are non achievable because that’s what we’re trying to do here is we’re trying to help you through that journey so that what you thought was not going to happen is going to happen you’re going to feel better, and you’re going to live longer so be driven by the purpose and honestly very very good things will happen. Purpose Driven Life both personal and professional is is a very very very important thing. Thank you again. And it was a pleasure exchanging with you too. Saul Marquez: Olivier such an inspiring episode. I really enjoy it. You’ve encouraged me and also the listeners to believe you can do more and do it purposefully and I thank you for that and and also look forward to staying in touch with you. So thanks again for your time. Olivier Chateau: Absolutely. Thank you. The above audio transcript of “Meeting Patients Where They Are with Olivier Chateau, Co Founder & CEO at Health Union, LLC” was transcribed by the best audio transcription service called Sonix. If you have to convert audio to text in 2019, then you should try Sonix. Transcribing audio files is painful. Sonix makes it fast, easy, and affordable. I love using Sonix to transcribe my audio files.